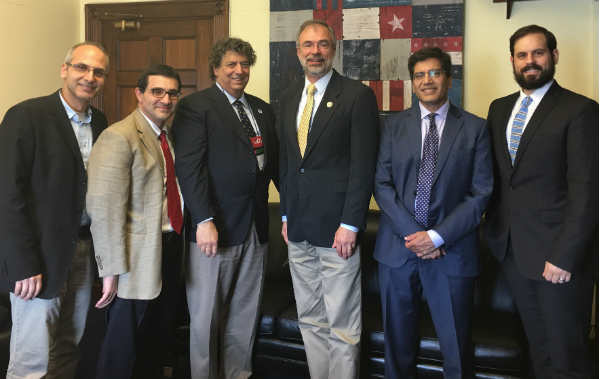 On Thursday, June 7th, a delegation of MOA physician leaders met with several congressional offices as part of the AAOS NOLC Hill visits. 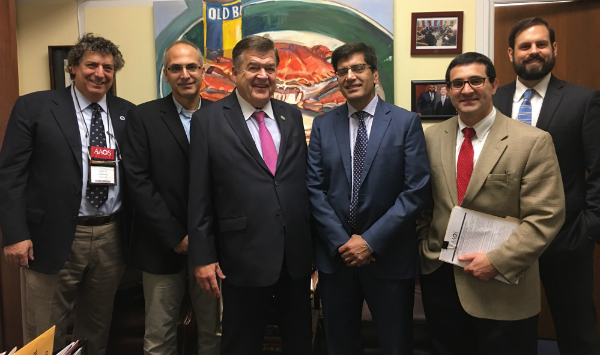 We met in person with Rep. Andy Harris MD-1, Rep. Dutch Ruppersberger MD-2, and Rep. Anthony Brown MD-4 to discuss the Opioid crisis, the Medicare Care Coordination Improvement Act (H.R. 4206/S. 2051), and the Good Samaritan Health Professionals Act (H.R. 1876/S. 781). 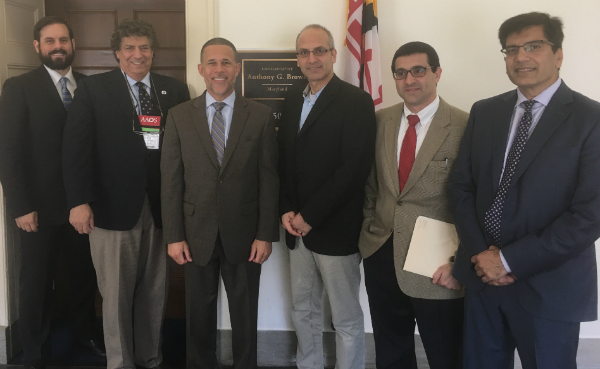 Mark your calendars now for next year’s Hill Visits on June 6, 2019 to discuss important federal issues facing the field of Orthopaedics with your Representatives.